A man miraculously survived in a massive car inferno, but witnesses wonder if good fortune was all there was to it. His bible was found intact after the blaze and an explosion. 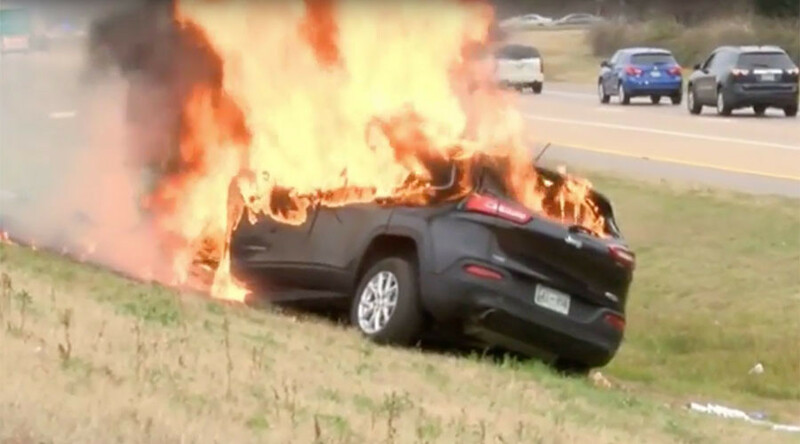 The driver’s jeep was reportedly sideswiped off state route 385 in Tennessee by another car on Sunday, causing it to careen down a hill, smash into a pole, and burst into flames. “THE ENTIRE EXPRESSWAY STOPPED and people ran from their cars trying to break the windows and open the doors of this man’s car to free him,” Anita Irby, who says she saw the accident happen, said on Facebook. Failing to find a fire extinguisher, first responders grabbed a jack iron to break the SUV’s windows. “It appeared he was completely trapped in the driver’s seat because the steering wheel was pressed up against his chest,” another witness, Corey Kilpatrick, said, according to CNN. They managed to get the driver out of his vehicle and remove him to safety before an ambulance arrived to take him to him to a hospital in non-critical condition. “None of the flames touched him and even after the car exploded,” Irby wrote. Wow, The Bible Survives this Fiery Car Crash in Memphis Tennessee February 2016 News. The Bible Has survived the test of time and even this Fiery car crash. Many eyewitness videos show dozens of cars pulled over on the highway praying and rescuing the driver. Spread the Word, Tag Someone Who believes the Bible in the Comments. The miracles in this story did not just end there. As crews investigated the scene, they found a bible on a seat that had survived intact. “That is God. If you don’t believe it. I don’t know what to say,” witness Eugene Mcneil said.